This bench was designed for the Sainsbury Gallery at the Victoria & Albert Museum, and was comissioned for the inauguration of the space in June 2017. 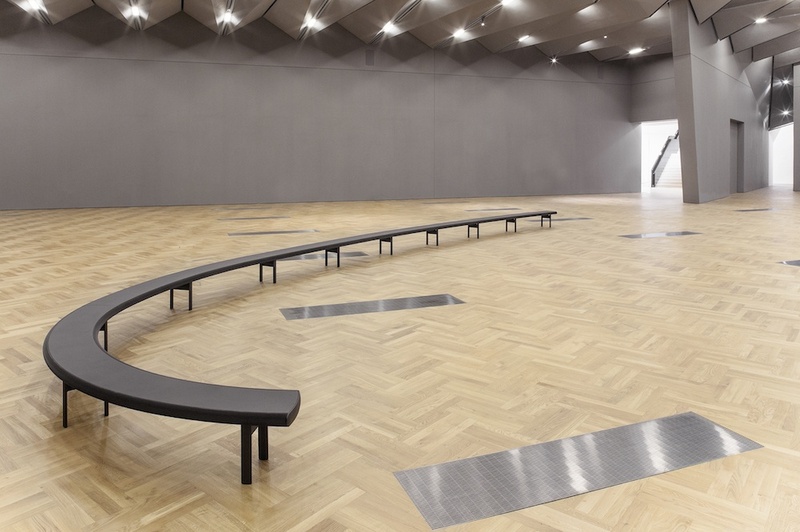 This 46 foot (14 meter) long bench follows the architect's intended choreography of the gallery, guiding the visitor from the entrance to the farthest depth of the space, and pointing them back towards the exit. The bench also provides seating for a lighting installation by the artist Simon Hedjens, which was also comissioned for the inauguration of the space.